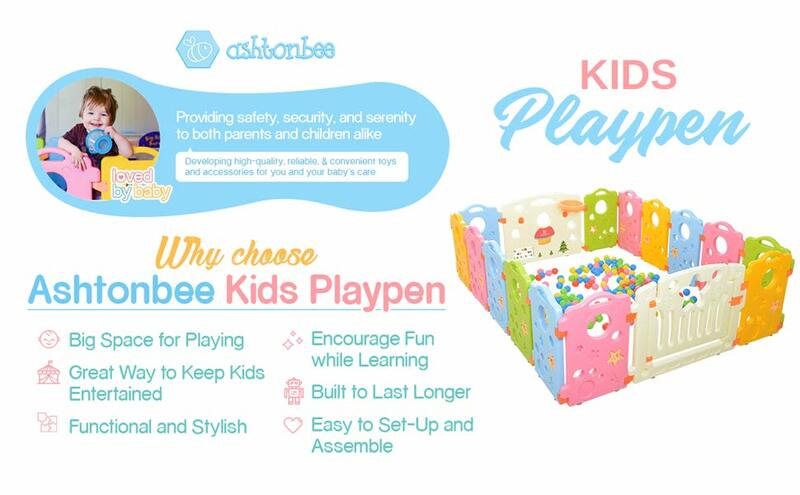 Ashtonbee’s Playpen is a great way to keep your babies and kids safe and entertained while you are doing something urgent or when you just need a breather. 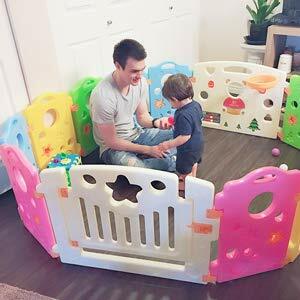 A playpen or activity area for kids is a great solution for parents who want to put down their babies for a while without worrying too much about safety. 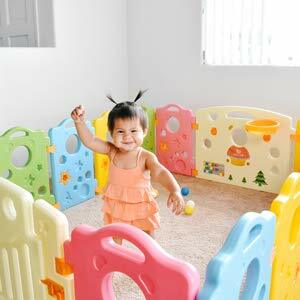 Easily set-up and assemble the play center without a need for fancy and complicated tools. That’s convenience right there. 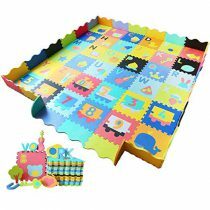 But even though it’s easy to set up, it doesn’t mean it’s also easy for baby to drag around. 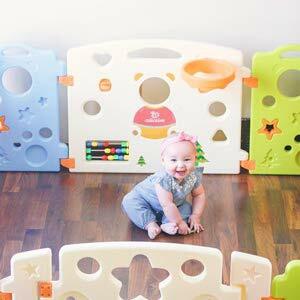 Once you have it up, your kid/s will not be able to remove the panels on their own. Don’t worry about cramped space. 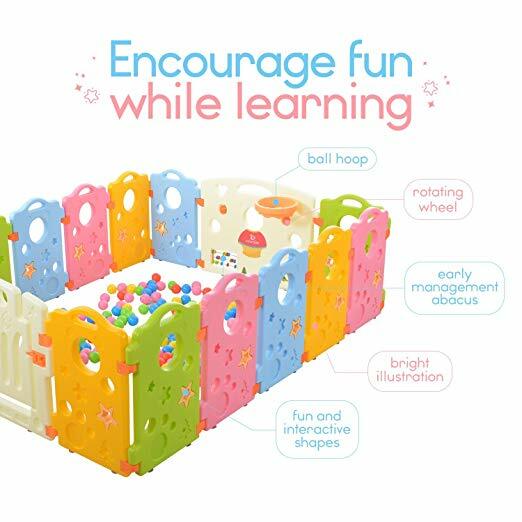 With a 16-panel structure, you can build a play area with a large enough space. You can even join in! 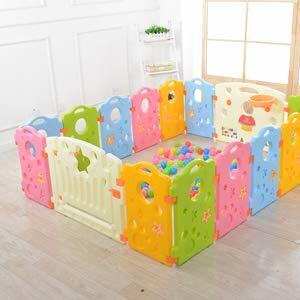 This makes it easier for your little one to walk, crawl, stand, or even lay down inside the playpen! There’s even enough room for two more kids. With the stylish design comes functionality. 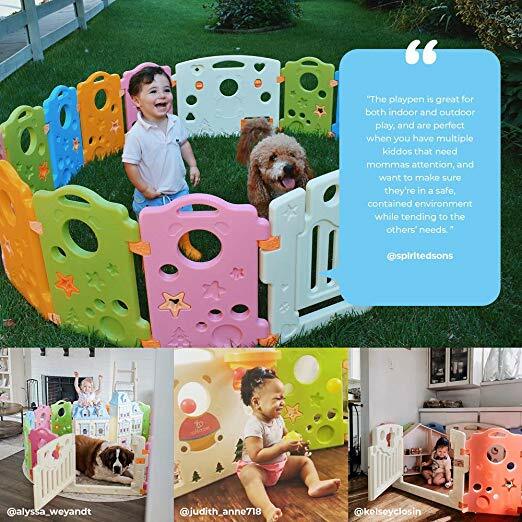 Ashtonbee’s playpen is designed to be sturdy and strong with a rubber base underneath to keep it standing on the floor and not be easily pushed by kids. 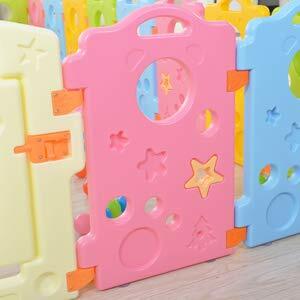 There are also safety locks that will make sure your baby won’t be able to go out of the playpen. 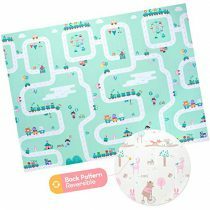 The panels are multi-color which are truly a feast to kids’ eyes! 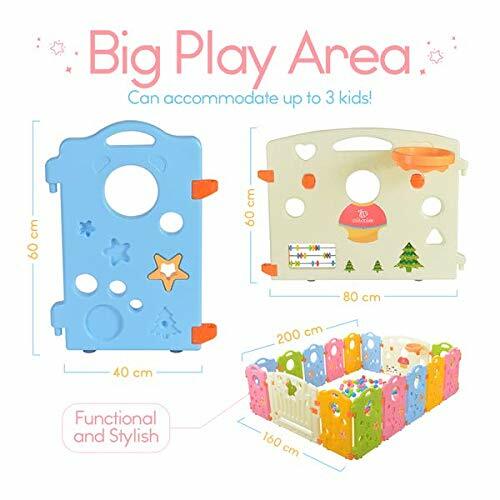 They will love the details of the design, as well as the different activities they can do while inside the playpen. 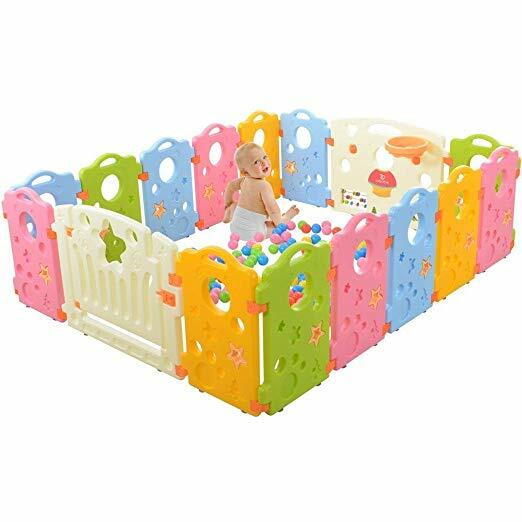 A baby playpen is a thoughtful present to your family and friends especially for those who don’t have babysitters or any household help who can take over just yet. Ashtonbee’s play area is certainly going to be a big help! 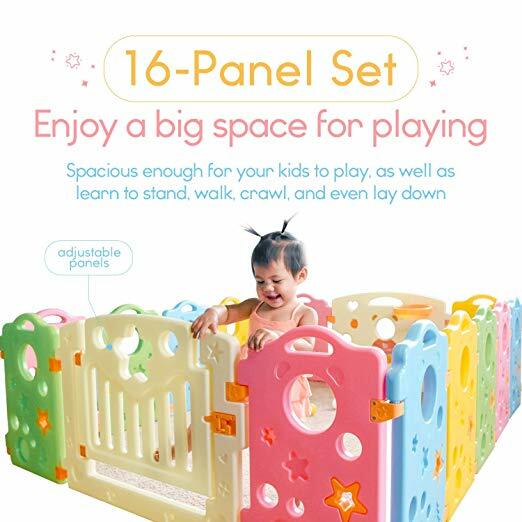 The material used for the playpen is sturdy enough to hold all the panels together so you never waste your money because the product is of high-quality. 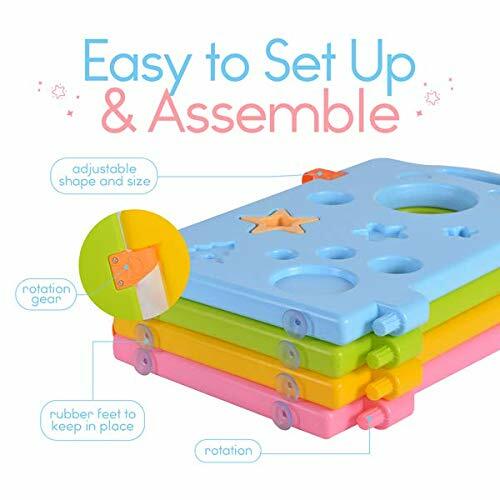 t’s very easy to assemble and there’s no need for expensive and complicated tools to set it up. 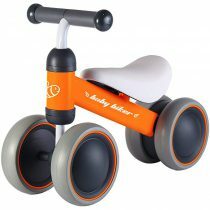 It’s also designed to have rubber feet so that the panels and other parts won’t slide.